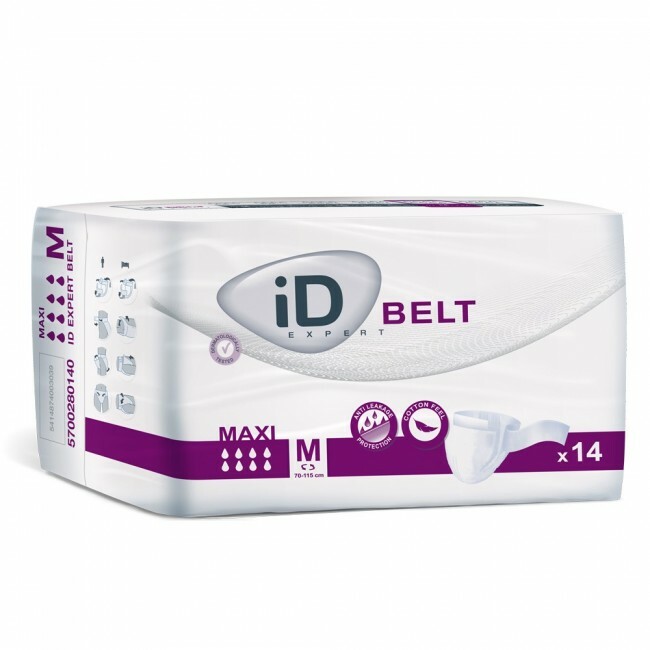 Id Expert Belt Maxi products are belted incontinence products ideal for those with heavy to severe incontinence. The belt is made from a non-woven material with a Velcro fastening, which fastens around the waist and ensures the product is securely fit. The Fast Absorption quality of the product consists of multiple layers of Super Absorbent Polymers designed to absorb and lock liquid inside the core of the pad, helping to reduce the risk of skin irritation. 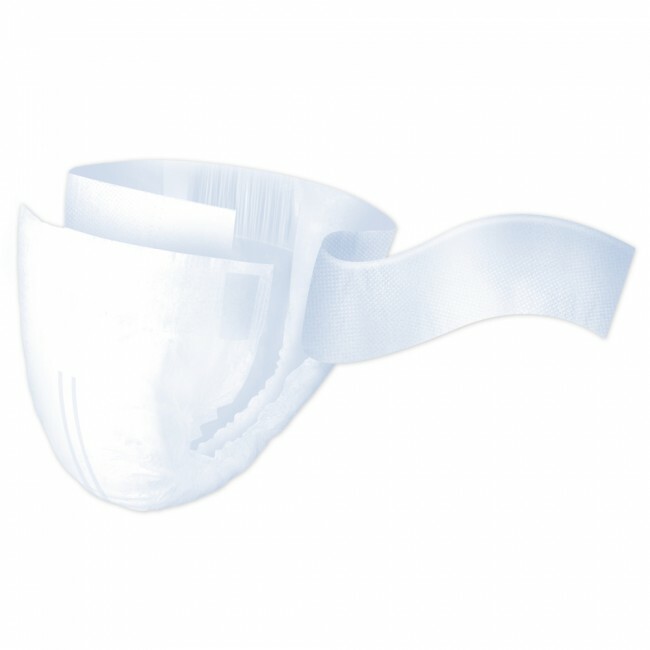 Anti-leaf cuffs made of waterproof material provide are integrated in the products, providing maximum protection against leakage. The product is manufactured from a Cotton Feel material, providing added comfort and discretion. Wetness indicator lines notify the user or carer when the product has reached its maximum liquid capacity and needs to be changed. An Odour Control system is included in the briefs, preventing the formation of ammonia, keeping away any unwanted odour and providing you with maximum confidence throughout the day.